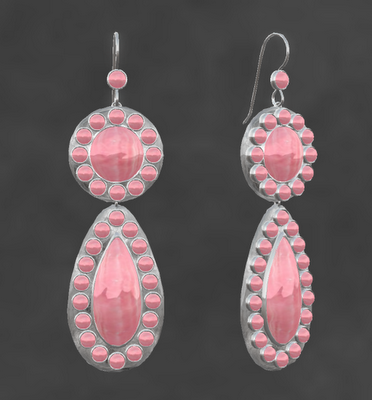 Elemental ~ Jewelry With Substance: Vintage~Maureen Jewelry at ELEMENTAL! One of my favorite movie stars from the golden 40's, 50's, & 60's was Maureen O'Hara, that beautiful red-haired lady from Ireland. Did you ever see her opposite John Wayne in The Quiet Man or McClintock? I really enjoyed those movies, and Maureen was just stunning. 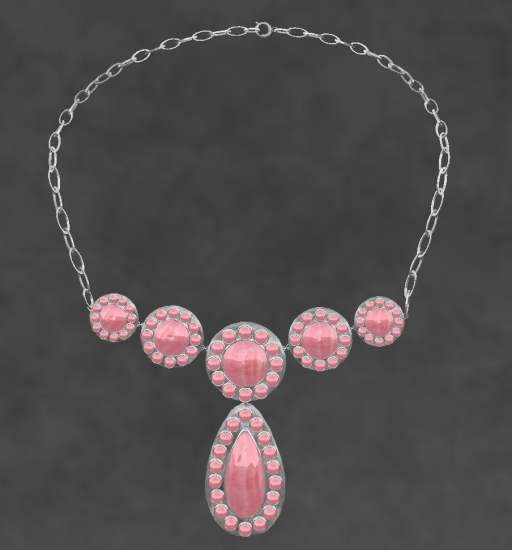 In honor of and inspired by Miss O'Hara, I have made a new set of jewelry called VINTAGE ~ MAUREEN--a beautiful silver necklace & earrings with pink rhodochosite stones. Can't you just see her wearing something similar? What a knockout! Hair: The Betty Do in auburn from Ingenue. Lipstick Tattoo: Amacci Frosted Lips Red 10. Dress: Maylina from Ivalde Vintage Fashion--actually, this was one of many lovely group gifts.